Here’s a look at the top Tamil actors of 2017. Vote for your favourite. A quick look back at the events that unfolded in 2017 reveals that this has been quite an eventful year for fans of Tamil cinema. On one hand, high profile commercial entertainers gave movie buffs plenty to cheer about and became the talk of the town for all the right reasons. Similarly, on the other hand, several relatively smaller films too made a mark and won hearts along the way. However, it goes without saying that 2017 would not have been so memorable had it not been for a range of impressive performances that left us asking for more. Today, let take a look at the top performers of 2017 and relive some memories. Who was the best Tamil actor of 2017? Ajith Kumar (Vivegam): Directed by Siva, ‘Vivegam’ served as strong proof of Ajith’s abilities as a performer and did reasonably well at the box office. In the spy-thriller, ‘Thala’ essayed the role of a secret agent and delivered a dedicated performance. He did full justice to the action scenes and impressed us with his physical transformation. Moreover, his chemistry with Kajal Aggarwal too was truly heart-warming. Interestingly, ‘Vivegam’ marked the third collaboration between Siva and Ajith. The two had previously collaborated for the blockbusters ‘Vedalam and ‘Veeram’. R Madhavan ( Vikram Vedha): R Madhavan—who is one of the most popular names in Tamil cinema—played the role of a ruthless cop in Pushkar-Gayathi’s crime-thriller ‘Vikram Vedha’ and proved why one of the most versatile stars in the industry. His cold body language and ‘I mean business’ attitude added new life to his act, leaving viewers spellbound. Talking about their response to ‘Vikram Vedha’, he had said that the whole experience was quite ‘overwhelming’. Vijay Sethupathi ( Vikram Vedha): Yes, this is the second entry from the same film but it was totally unavoidable. Playing Maddy’s arch-rival in ‘Vikram Vedha’, Vijay Sethupathi delivered a solid performance and proved his mettle as an actor. His portrayal of a gangster was convincing with a capital C. Recently, while talking about the film, he had said that ‘Vikram Vedha’ will always remain an integral part of his filmography. Karthi (Theeran Adhigaram Ondru): ‘Theeran Adhigaram Ondru’ was directed by H Vinoth and proved to be a success. 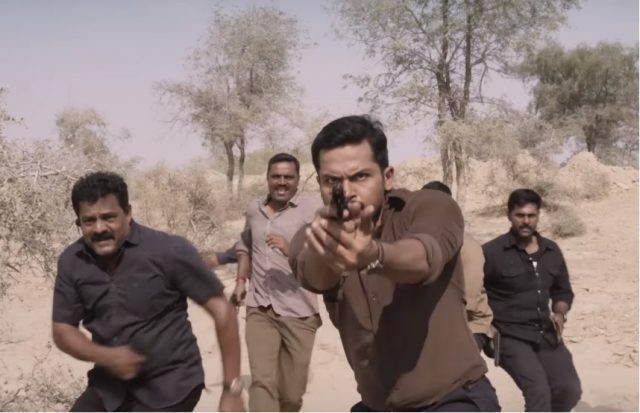 In the crime-drama, Karthi played the role of a no-nonsense cop and put in a relatable performance. ‘Theeran Adhigaram Ondru’ featured a hard-hitting plot and was praise for its realistic presentation. Talking about the film, Karthi had said that working on it was a challenging experience for him. 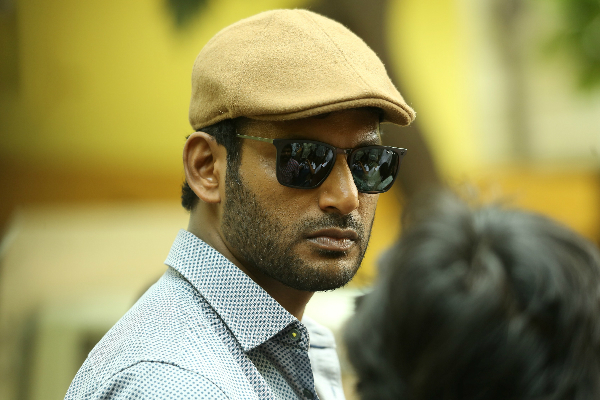 Vishal (Thupparivaalan): ‘Thupparivaalan’ was a Mysskin directorial and proved to anything but a commercial film. A skilfully made detective-thriller, it was Vishal play the role of a witty detective and channel his inner Sherlock Holmes. His act was realistic yet engaging. 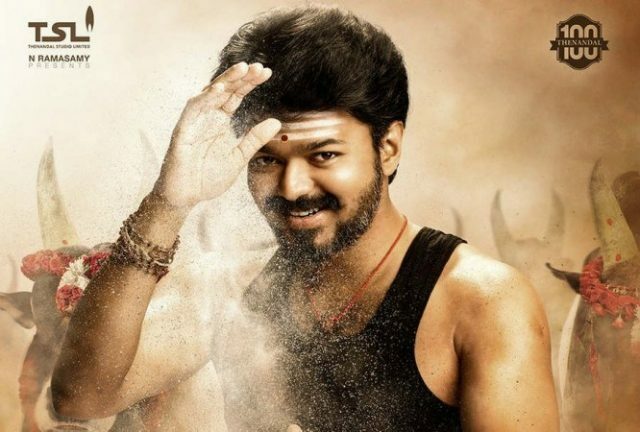 Vijay (Mersal): Described as the perfect Deepavali give for Vijay’s fans, ‘Mersal’ was complete showreel for our ‘Thalapathy’. In it, he played a triple role and did full justice to each one of them. Everything about his act—right from his chemistry with his heroines to his body language—was perfect and made the film even more enjoyable. An action-drama, it did well at the box office despite running into trouble with the BJP because of a GST joke. The film’s supporting cast included names such as Sathyaraj and SJ Suryah. So, who is your pick for best Tamil actor of 2017? Make your vote count.